Think back to all those Belltech suspension advertisements from this era that featured brightly colored slammed trucks surrounded by chicks in high heels and high-waist bikinis. It was these images printed in custom truck magazines everywhere that helped kindle the fi re of the whole sport truck revolution. Customizers were building their new Chevy trucks to perform like monsters both on the streets and on the strip. 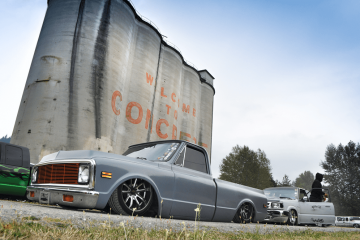 The selection of accessories was almost limitless, and high-profile hot rod builders were even starting to take notice of the new truck platform as well. Their influx of street rod style projects hitting the streets and the pages of the biggest truck publications in print were overwhelming and inspirational to the readers at home. The introduction of the newly redesigned S-10/ Sonoma pickup and Blazer/Jimmy SUV in 1994 also caught this wave of popularity and became one of, if not the staple in the minitruck fanaticism during this period until GM pulled the plug on these wildly popular models in ’04. 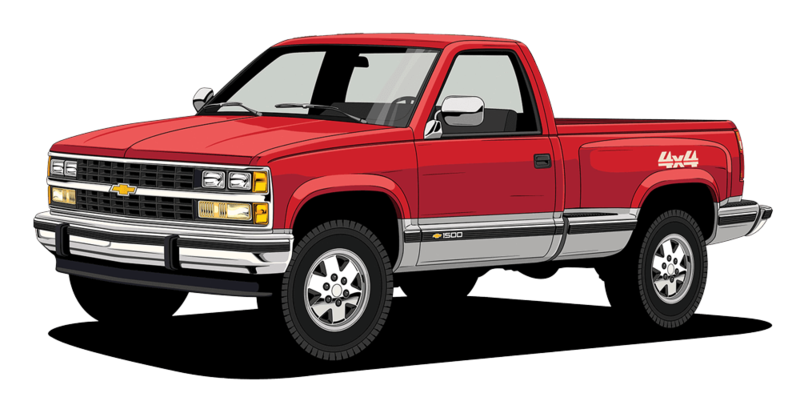 THE modern era of Chevrolet/GMC trucks (‘99+) includes the first-generation Silverado model (’99-’07), which has really outperformed any of the previous Chevy models in both sales figures and overall power. Light duty 1500 model pickups were made available in 1999 alongside the last batches of the OBS style that were still being released from the factories for nearly two more years. 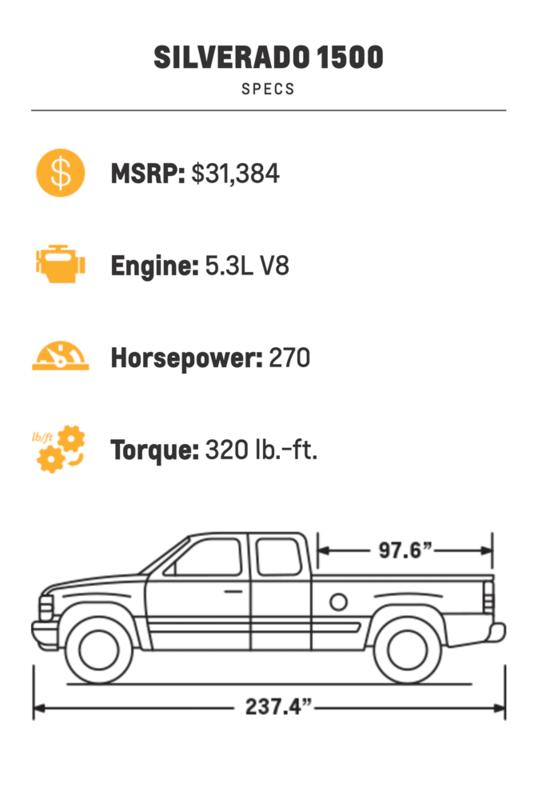 The 1500 Silverado was initially only available in regular cab and extended cab offerings, and came factory equipped with Vortec 4300 V-6 and 4800 and 5300 V-8 power plants. It wasn’t until one year later that Silverado pickups were made available in three 1500HD, 2500HD and 3500HD heavy-duty models that were built to excel in the fields of tow ratings and hauling heavy cargos. The inclusion of high-output Duramax diesel engines, the Allison 1000 transmission and dually twin rear wheels in later models of this first generation of Silverado pickups. This first generation gave truck fans so many more options than ever before whether they were looking to work or play hard. Other notable releases during this first era also included the Silverado SS, which was designed to be a factory-tuned high-performance pickup that featured an upgraded drivetrain, Z60 performance suspension and 20-inch aluminum wheels and, of course, badging that let other drivers know this was an enhanced version of the rest of the other Silverados on the road. In 2004, a Silverado hybrid was released, which was GM’s first ever hybrid passenger vehicle. There really was a Silverado model becoming available for almost every type of consumer as the first generation progressed onward. 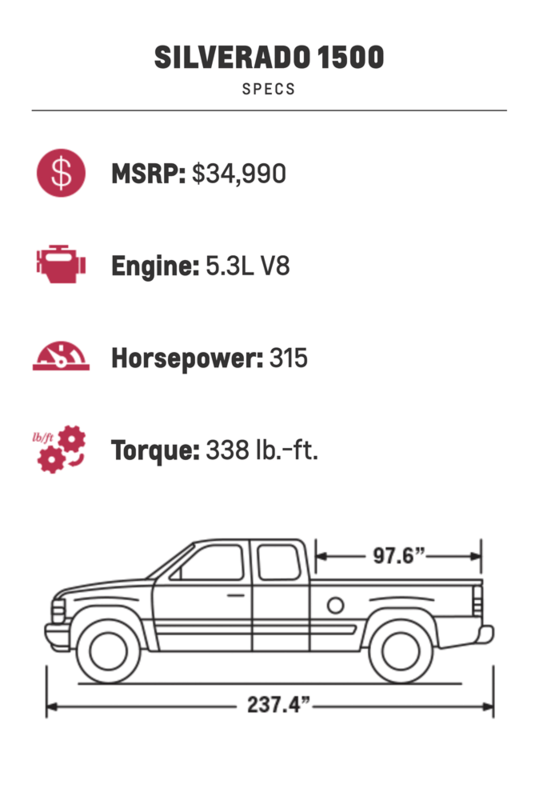 As the natural lifespan of any successful vehicle expands, there is a constant cycle of evolution, and over the years the Silverado continued to grow right along with the needs and demands of the consumer. 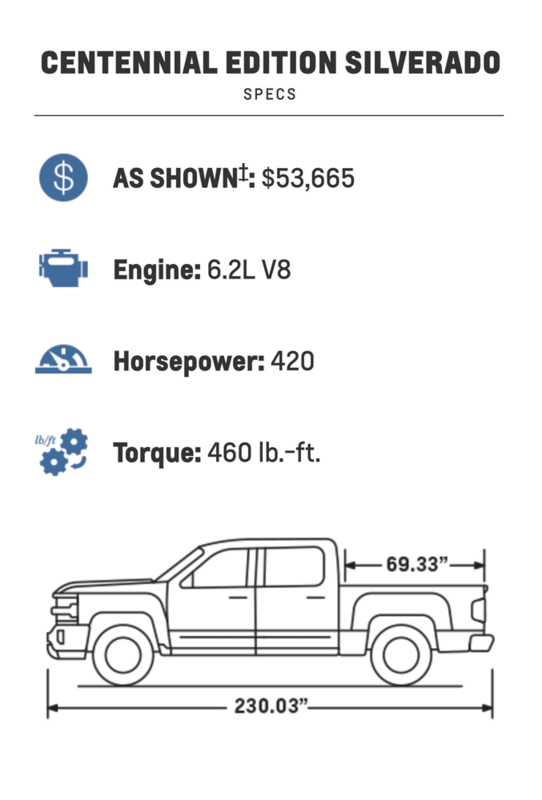 A significant body style redesign that boasted increased aerodynamics (which in turn increased better fuel economy forecasts) was at the forefront of setting the second-generation Silverado (’07-’14) apart from the last. The interior also received a healthy change, naturally, as did the H-D suspension system that changed to a fully boxed, high strength steel frame in 2011. Another notable change in this generation is the ditching of manual transmission in full-size truck offerings as of 2008 within the U.S. and Canada—who really wants to be thinking of shifting in traffic when going out shopping for a newer truck anyway? These upgrades are the types of specs that impressed the consumer base, automotive media and industry leaders to award the second-generation Silverado with the honors of North American Truck of the Year. The third generation (’14-’19) kept the momentum moving with the introduction of the MyLink touchscreen infotainment system that incorporated a lot of what truck buyers were once looking to aftermarket audio brands to provide in their interior. AT the moment, however, there is no special edition offering that is more important or desired than the Centennial Edition to commemorate the 100th year anniversary of Chevrolet trucks. This exclusive package will be offered for both Silverado and Colorado models, and officially marks the beginning of the fourth generation of Silverado that is still yet to begin. Truck fans worldwide are looking to the future of what’s to come with the ever-evolving truck that is safe to say has become America’s favorite full-size pickup truck. 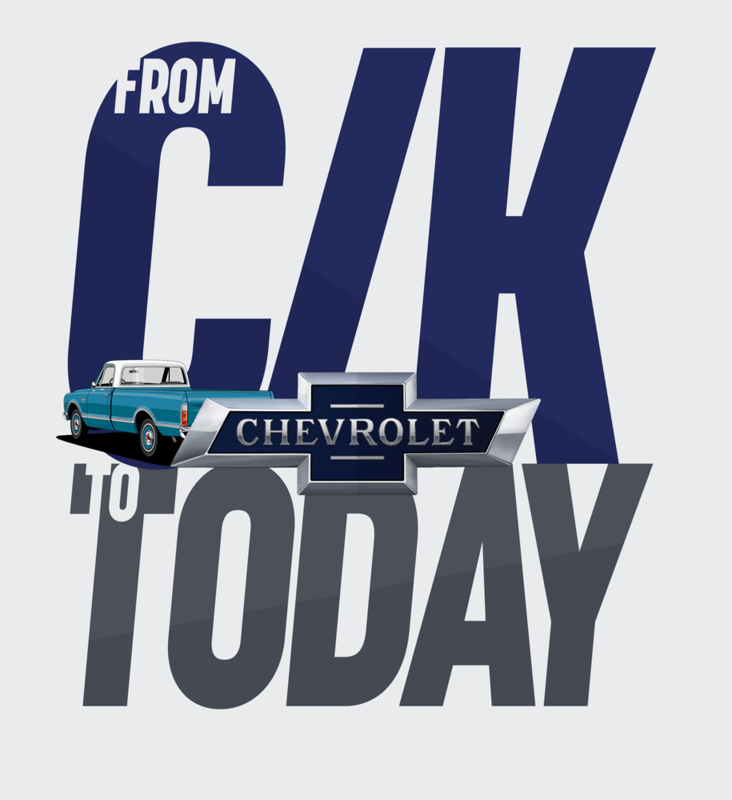 Over the years, Chevy have been a mainstay on the cover of our magazine, as well as other truck-centric publication. 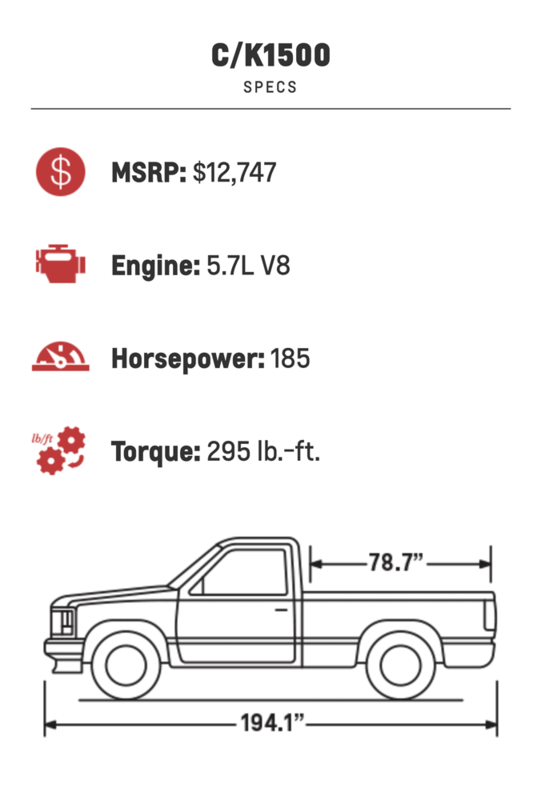 GM pickups are seemingly the customizer’s choice—a trend that has always been a growing constant in the custom truck scene. This has been a recognizable theme that has been a long standing “tradition” of sorts from the days of the radically changing 90s until today. There doesn’t seem to be an end of that in sight either. As long as there new Chevy trucks rolling out of production there will be awaiting enthusiasts just waiting to rip into them and alter how they see fit. The same goes for Chevy trucks of any vintage. From C-10 to C/K to the latest models of today—these trucks were and are designed for the long haul. Now is the time to recognize that staying power and look onward to what’s in store for the next 100 years of Chevrolet trucks. CELEBRATE a century of strength and dependability with the Centennial Edition Silverado and Colorado. Available on Colorado and Silverado 1500, this special edition features heritage bowties, badging and Z71 off-road capability. This version is also available on the LTZ Z71. Additions to the Standard silverazdo include Heritage bowtie emblems and Centennial door badges, Spray-in bedliner with heritage bowties, Centennial Edition badging on floor liners, Centennial Blue exterior paint, 22-inch premium Silver-painted wheels with chrome inserts, Chrome tow hooks, door handles, mirror caps and belt line.